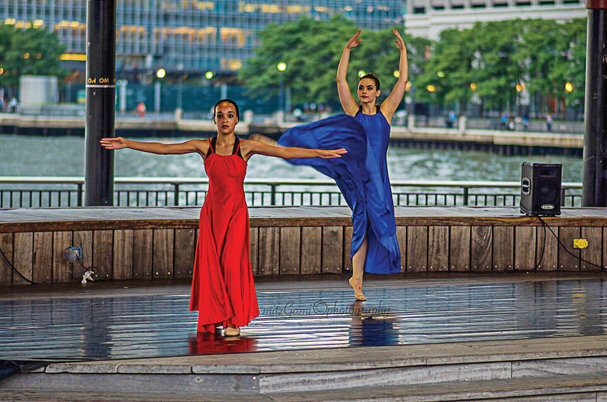 TURNING FORTY – The Kennedy Dancers will celebrate the troupe’s 40th anniversary with Jersey City Follies, a fund raising gala to be held on Thursday, May 11 at the historic Landmark Loew’s Jersey Theater on Journal Square. This will include music, vaudeville, burlesque and a number of guests. Also scheduled to perform are the Kennedy Professional Repertory Company members Bong Dizon, Junie Kenworthy, Shannon Grant, Eli Cano, Gigi Dragone Horan, Aaron Atkins, Laurel Z. Forsyth and Kennedy Dancers Director Diane Dragone. The chairman of the Jersey City Follies is Eugene McKnight. Tickets in advance are $65, or $75 at the door. For more information email Kennedydancers@aol.com. Public Service Electric & Gas Company (PSE&G) will inspect natural gas meters in Jersey City to ensure the continued safety and reliability of gas services. If a customer’s meter is inside, someone over the age of 18 will need to give technicians access to the meter for a visual inspection. Meters that are located outside will also be inspected. Although technicians will be on the property, customers do not need to be home for outside meter inspections. The inspection is free and will take about 10 minutes. Customers do not need to make an appointment at this time. Unless a meter requires immediate repair, there will be no interruption to service. Service will not be turned off during this inspection due to billing status. PSE&G reminds customers to always ask for identification when a utility worker comes to the door. Employees carry a PSE&G photo identification badge, wear PSE&G logo apparel and drive PSE&G cars or trucks. If a customer is concerned in any way, they should call PSE&G’s customer service line at 800-436-PSEG (7734) to verify the identity of an employee. Julie M. DiGioia, M.D., F.A.C.S., will chair the Susan G. Komen 10th Annual Race for the Cure, one of New Jersey’s largest breast cancer fundraising events. Well-known and respected as one of the state’s best breast surgeons, Dr. DiGioia grew up in Jersey City and specializes exclusively in the treatment of breast cancer. She says she is particularly pleased to assume this important role in the annual event as the 2017 race will be held in Hudson County for the first time. The Race for the Cure will be held on Sunday, May 21 in Liberty State Park, Jersey City. Dr. DiGioia received the American Cancer Society’s Medical Honoree Award in 1998 and the Luster for Life Award as Survivor of the Year in 2010. She was honored by Hudson County’s Madeline LoRe Foundation for Cancer Prevention at their annual gala in 2015. Dr. DiGioia has been consistently listed by the Castle Connelly as a “Top Doctor for Breast Cancer” and is a Fellow of The American College of Surgeons, the American Society of Breast Surgeons, and the Metropolitan Breast Tumor Group. Registration is now open for the USATF-certified, timed 5K and the fun run and walk. To register, visit www.Komennorthjersey.org/Race. Jersey City’s Saint Dominic Academy Dance Team has won a second consecutive National Championship at the National Dance Alliance (NDA) National High School Competition held this past weekend at Hard Rock Live in Orlando, Fla. The nine-member team defeated the ten-time National Champs from Napa Valley, California in the Small Varsity POM division. The SDA team had the highest score of the entire competition, which included over 350 teams, and won the Best in Category award by beating over 100 POM teams with the highest overall score. Additionally, the team received the technical excellence award and placed second in the International POM division where they competed against teams from across the United States as well as Japan. Members of the team include seniors Kassandra Pardo of West New York and Aolanie Vargas of Jersey City, juniors Sophia Feijoo and Emily Gill, both of Bayonne, sophomore Julia Vitangcol, an international student from the Philippines currently residing in Jersey City, and freshmen Mallory Geisler of Bayonne. The team is coached by veteran coach Marie Pompeo Maffia, SDA ‘79, Amanda Herring, SDA’06 and Taylor Siebel, SDA ‘14. Jersey City Medical Center has again been approved as an Emergency Medical Dispatch Center of Excellence by the Board of Accreditation of the International Academies of Emergency Dispatch (IAED). As such, JCMC, the first accredited center in New Jersey, remains one of just 157 Emergency Medical Dispatch Accredited Center in the world, and remains one of only two in the state. The hospital achieved re-accreditation for their continued compliance to the Medical Priority Dispatch System (MPDS) and the associated “20 Points of Excellence which encompass international practice standards of excellence for Emergency Medical Dispatch. Jersey City Medical Center, which has the busiest EMS in the state with over 80,000 calls annually, was the first EMS service in the U.S. to earn triple accreditation in dispatch, education and emergency medical service. Merseles Studios will present “Disruption,” a group exhibition of works in various mediums curated by Allison Remy Hall. The show opens on March 31 from 6 to 9 p.m. and will run until June 9 at Merseles Studios, 399 Newark Ave., Jersey City. The exhibit is based on the premise that America’s equilibrium has been disrupted. Major economic, social, and environmental shifts have propelled the nation into a period of crisis. The meaning of the American Dream has faded from the national lexicon. During this time of multiple disruptions, artists are witnesses, offering testament through visual narrative and personal expression. Participating artists include Luis Alves, Bang!, Andrew Blumenthal, Distort, David LaMorte, Shehrezad Maher, Meredith Miotke, Mr. Mustart, Sam Pullin, Giovani Santoro, Fabricio Suarez, and Noah Tavlin. Employees of Provident Bank recently took part in a Go Red for Women fundraising campaign at the bank’s administrative office and branch locations throughout New Jersey and Eastern Pennsylvania to benefit the American Heart Association. Employees were encouraged to show their support for the campaign and raise awareness of women’s heart disease by wearing red and making a contribution to the American Heart Association. Employees who supported the campaign were able to wear jeans to work for the day. Provident Bank employees raised more than $3,600, all of which was donated to the American Heart Association. The S3 Agency announced that Liberty Humane Society in Jersey City is the newest client of S Free, the agency’s pro bono program that provides free creative services each quarter to a different New Jersey business or organization that is too small, too new, or too non-profit to afford these services. “Rehoming animals who have nowhere to go is one of the most urgent aspects of our mission, but our long-term goal is to build a community in which those services are no longer needed,” said David Ramirez, development manager at Liberty Humane Society.